While critical reviews of License Renewed were mixed—some scholars questioned why Bond needed to be reimagined while others praised Gardner’s deft rehabilitation of the series—the fact remains License Renewed launched James Bond into a modern era for new audiences to discover the thrill, intrigue, and sheer pleasure of a 007 adventure. License Renewed opens with a conversation between M and 007 discussing Bond’s new role in British counter-intelligence now that the 00 section has been disbanded. M retains Bond’s services as a hired gun or ‘troubleshooter’ and dispatches 007 to investigate Dr. Anton Murik, a nuclear scientist who is believed to have been secretly meeting with a world-renowned terrorist called Franco. M instructs Bond to infiltrate Murik’s castle-headquarters in the Scottish village of Murcaldy and gain Murik’s confidence and trust in order to uncover the nature of Murik and Franco’s conversations. Bond makes initial contact with Murik at Ascot Racecourse where he acts as a mercenary on the hunt for work. Murik agrees to meet Bond later at his Scotland estate where he hires Bond to kill Franco for reasons he is unable to divulge. Simultaneously, Murik has also hired Franco to kill one Lavender Peacock as she is the true heir to the Murik fortune, which can only be verified by secret documents Murik keeps hidden deep within the bowels of the castle. Meanwhile, Murik has concocted a plan to hijack six nuclear power plants across the globe with the help of a group of terrorists sponsored by Franco. To ensure his anonymity in the plan, Murik wields Bond in order to eliminate Franco. In attempting to execute Murik’s plan, Bond leverages his friendship with Murik and impersonates him in ordering the group of terrorists to abort their mission just as they’re about to engage a full-scale meltdown at each of the six nuclear plants. In a final battle, 007, with the help of Lavender, who uncovers Murik’s plan to kill her, fatally wounds Murik before escaping to safety with Lavender in tow. Originally composed under the title Meltdown, License Renewed introduced the literary world en mass to the stylings of John Gardener. A somewhat noted literary thriller and spy novelists in his own right, Gardner was tapped by Glidrose Publications to revive the Bond franchise in large part due to the similarities between his previous novels and the original Fleming Bond novels. Gardner began the first draft of the novel early in 1980 with the intent to reinvent the franchise by updating the themes and character arcs into a more modern context while at the same time updating the timeline of the previous novels—moving Fleming’s novels from the 1950s and 1960s to the 1970s for the sake continuity. 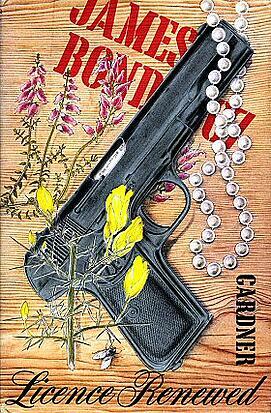 First editions of the novel were released in the U.K. in May 1981 from Jonathan Cape with a U.S. release taking place a month earlier, in April of the same year. The novel went on to sell more than 130,000 copies in the U.S. with U.K. sales rivaling American sales. Critical response of License Renewed ran the gamut from high-praise for successfully staying true to Fleming’s original vision while updating the character for a more contemporary time, while others derided Gardner’s storytelling and characterization as mere caricature or a poor facsimile of Fleming’s more layered, complex stories. In fact, even Gardner himself had mixed feelings about License Renewed and his legacy as the novelist who reinvigorated the Bond franchise—Gardner is reported to have said to many close friends he didn’t want to be known as a Bond novelist, but that he also found the work of the 007 franchise artistically satisfying. 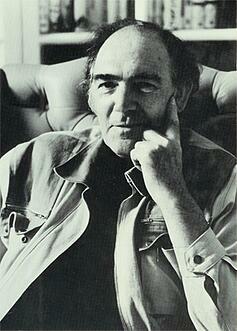 Gardner remained at the helm of the Bond franchise, writing 14 novels from 1981 through 1996. He retired from the Bond series after discovering he had esophageal cancer in the mid 1990s. In an attempt to bridge the gap between the old and new, Jonathan Cape selected Richard Chopping to compose the cover art for License Renewed. Chopping was the primary artist who worked closely with Fleming to compose some of the more iconic 007 covers. Going back to his roots, Chopping’s cover is comprised of a steely black pistol dropped against a woodgrain-like background, which is a clear throwback to early Fleming novels. What makes collecting original editions of License Renewed tricky is the fact that the novel experienced a second release in 2011 to celebrate the 30th anniversary of the original publication. The publisher chose Chopping’s original cover as the cover art for the reissue. Collectors can easily discern original first U.K. editions from the anniversary releases by extended forwards and introductions in the reissues from Bond scholars or other important figures in the 007 canon.